Nebula awards were announced. 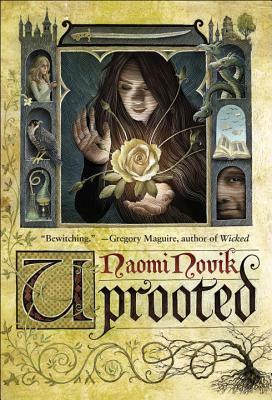 The winning novel is a fantasy ‘Uprooted’ by Naomi Novik. Help me recognize science fiction novels published in 2015. This is an open call for guest posts! Hi – my novel – Sorting the Future – was not even considered. What is going on? Have no idea. I’d like to look at it. Is it on Amazon? Uprooted won for scifi? Who judges these things? I haven’t read it yet. But it is a fantasy, and I recently mostly read science fiction. May not be able to read it in a long time. That’s what I gather from the reviews. Was it at least good? I recommend it to fantasy lovers but I wouldn’t read it again. Some love it. I want something more… can’t really figure out what was missing. Thanks! I reposted your review. By the way, Ellen DeGeneres is supposedly making a movie based on this novel. Oh, by the way, hi Julia, and thanks for following this blog 🙂 Welcome! Oh and thank you so much for the repost too! No problem, it’s a great timing for this post. And by the way, Julia, if you happen to read any 2015 sci fi novels, you are welcome to write a guest review between now and December 1, there is a simple outline for them. https://elliemaloney.wordpress.com/2016/05/17/hugo-award-vs-jalapeno-fiction-award-a-call-for-guest-posts/ What do you think about it? I checked out your reviews and I don’t know if I can do your blog justice. The reviews are so thorough and beautifully written. I’m flattered that you even asked. Would you like me to attempt a review of that? They don’t need to be soloing, really. I do overkill, partly because I am learning my formula for them as well. The only thing that is unique about them is the score, that consists of 5 scales. And you need to provide a few arguments about why you think this is the score. Also, it is a bit tough to see, but the two books that I already reviewed, are really strong, so the scores are high. I have already read a few where the scores won’t be quite so high. And yes, I would love you to do a review of Echo! I’ve seen it in my reader and wondered about it myself. So great! I love to welcome indie authors! I’ll look into the technical details how tolling your and my blogs for this thing, but take your time, no hurry. And once you have your scores, I will send you the jalapeños scores (those pictures with peppers) so you can use them. Great! I’m super excited to welcome you to the team! And by the way, your review was great too! I often post something and take multiple editing revisions, English is not my first language, so writing at a high level is a bit of a challenge. So, that’s my handicap. Thank you. Your writing is amazing! I would never know it is not your first language. Impressive.